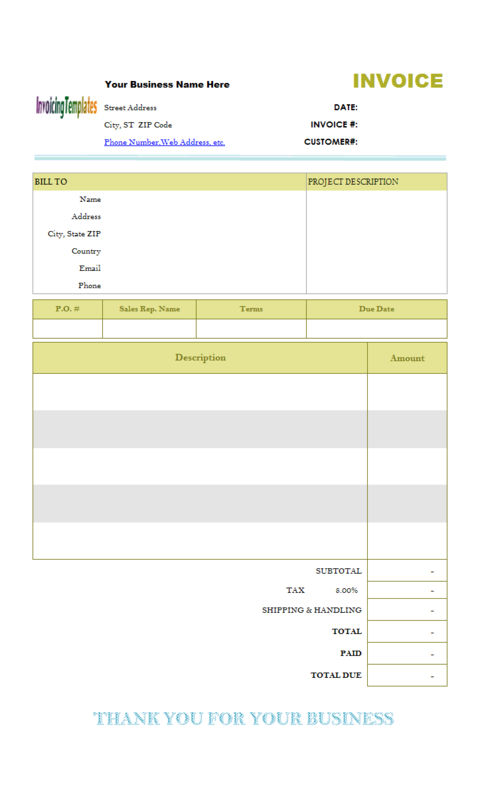 This blank service invoice template is a redesigned version of c3008 Blank Service Invoicing Template. This customized version keeps most of the fields found in the original design, but have a complete new look and feel due the addition of the image borders. 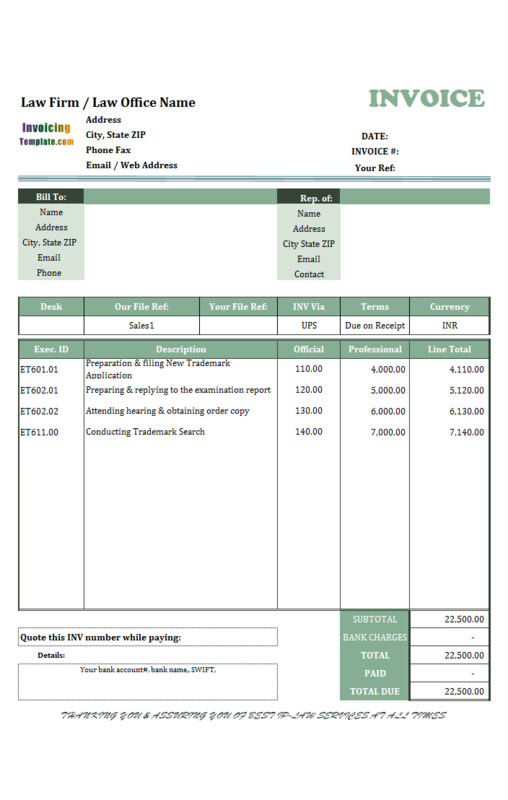 c3019 now includes the customized invoice template for the latest version of Invoice Manager for Excel. 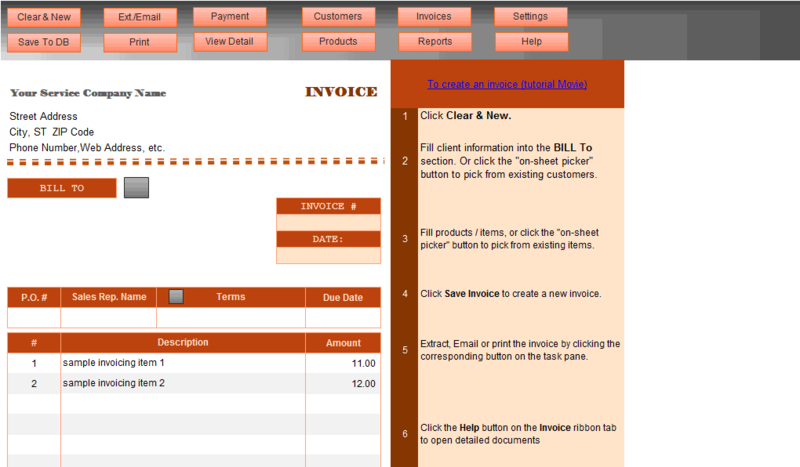 This is what you will see when you open blank-service-invoice-template-with-image-border.xlsx. 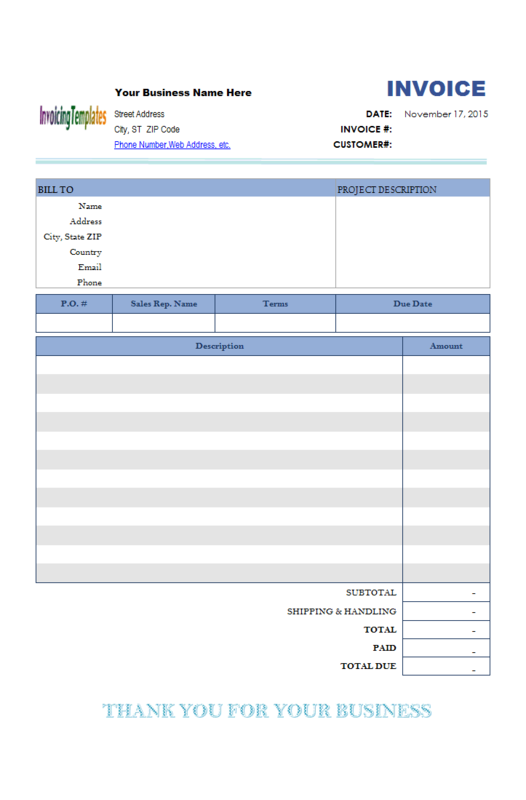 c3008 Blank Service Invoicing Template / Blank Service Billing Form is one of the popular templates here on InvoicingTemplate.com, according to the download counts. 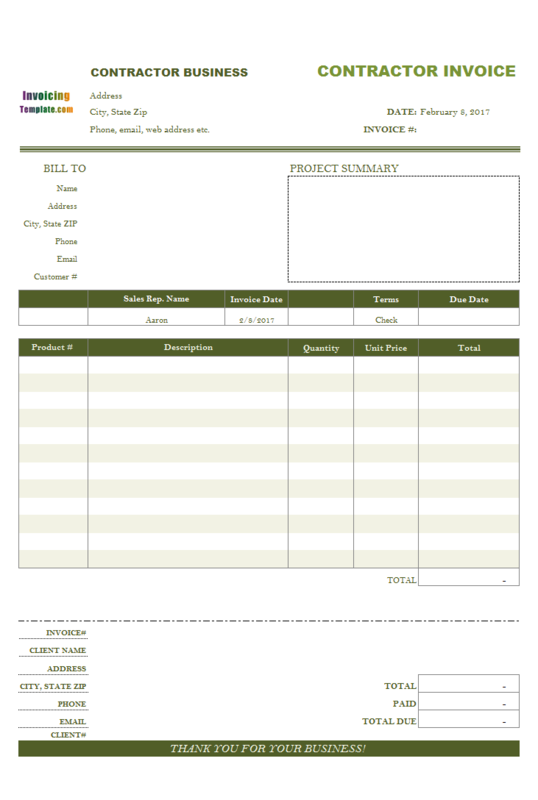 It is also one of the featured template in our blank invoice templates gallery. The image border was added to the template as a background image or watermark. 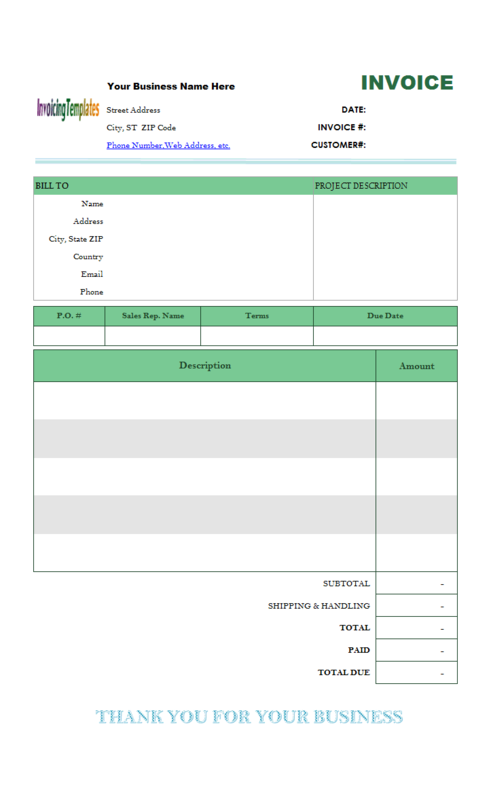 It occupy respectable space of the printable invoicing form so we need to reduce the number of visible rows from 12 (as implemented in the original template) to 8. We also set al the paper margins to leave space for the image border. To make space for quotation mark on the top-left corner, we move the logo image, which you should replace with your own business logo before you create your own invoices, to the bottom part. We also narrow down the form. To do this, we moved out the "Ship Date" and "Ship Via" fields (i.e. 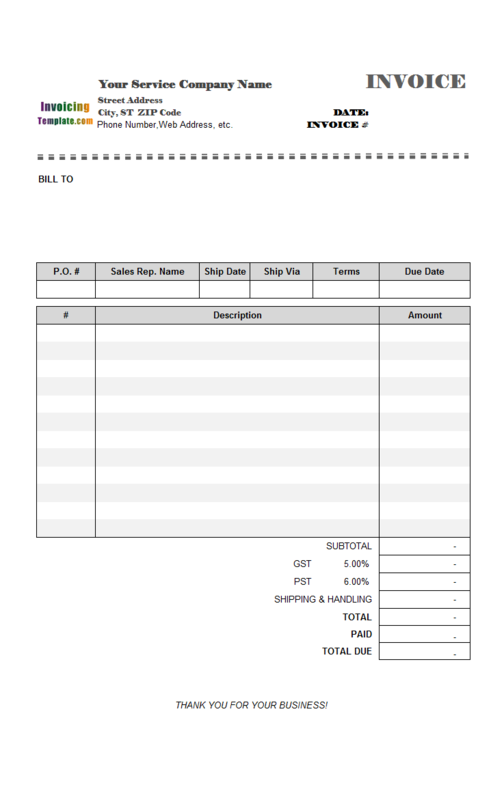 the "oknShipDate" and the "oknShipVia" cells and their labels), which are likely not useful since it is a service invoice template. 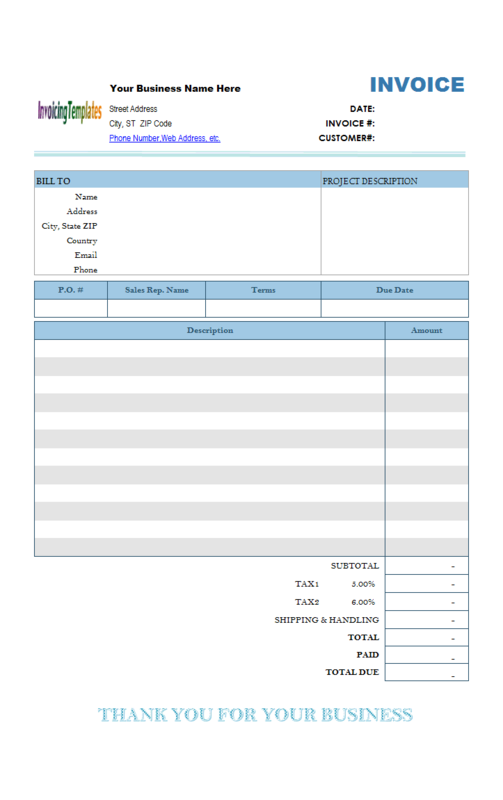 As you see from the printed result, this blank service invoice template is now a complete new design compared to its original format. 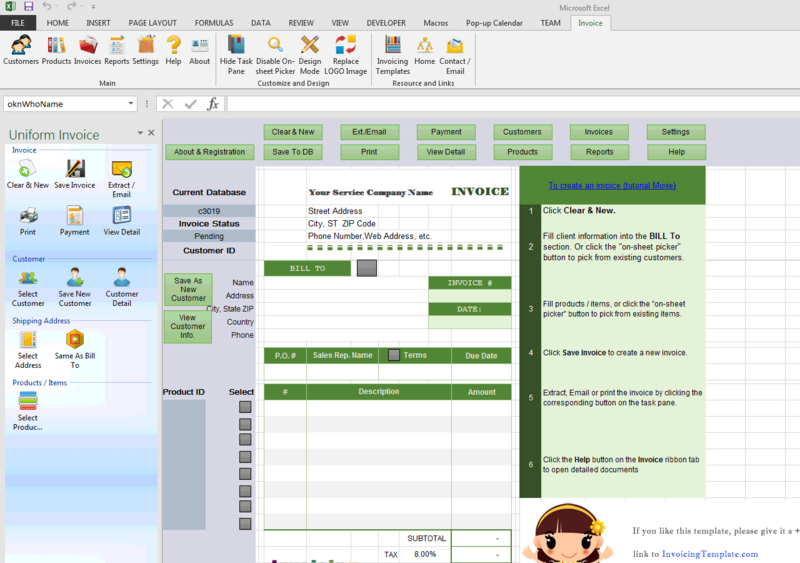 Microsoft Excel provides abundant tools for you to customize how your data will be shown. 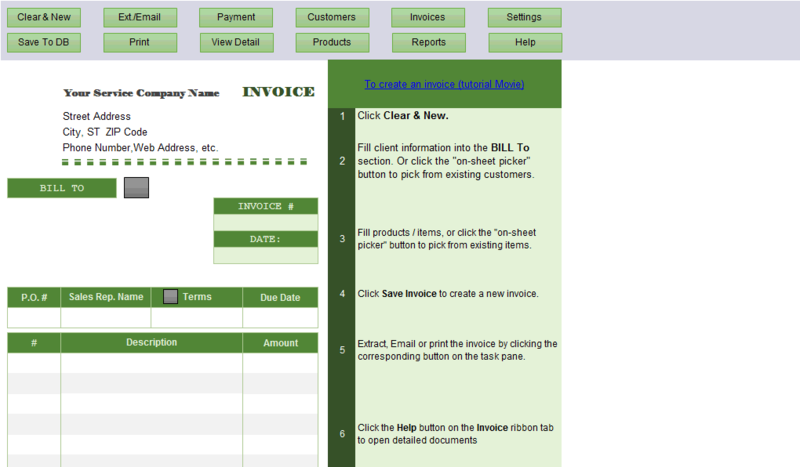 Invoice Manager for Excel (namely Uniform Invoice Software) leverages all those powerful features. 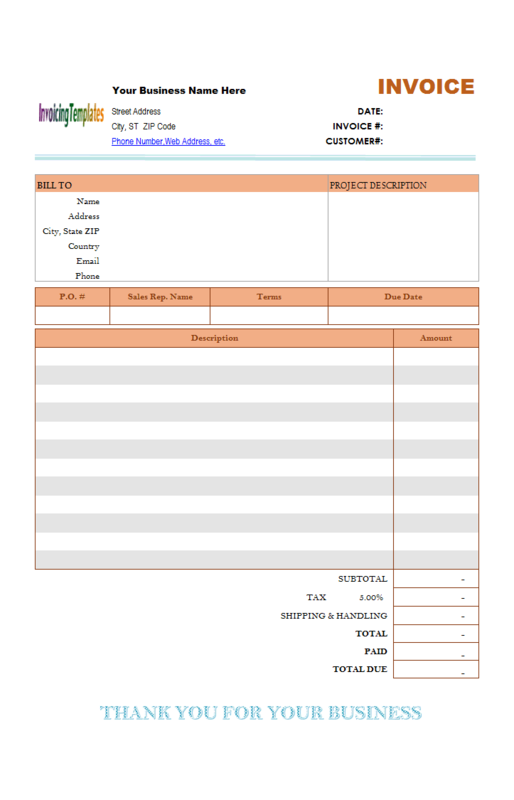 As long as you create your new invoice template by following the rules detailed in the creating new invoice templates document, your own design of invoice template will work with Invoice Manager for Excel (namely Uniform Invoice Software) without problems. This enables you to have your professional and private invoice and bill designs for your business, even if you are running a small business and not ready for those expensive and complex invoicing programs available online. 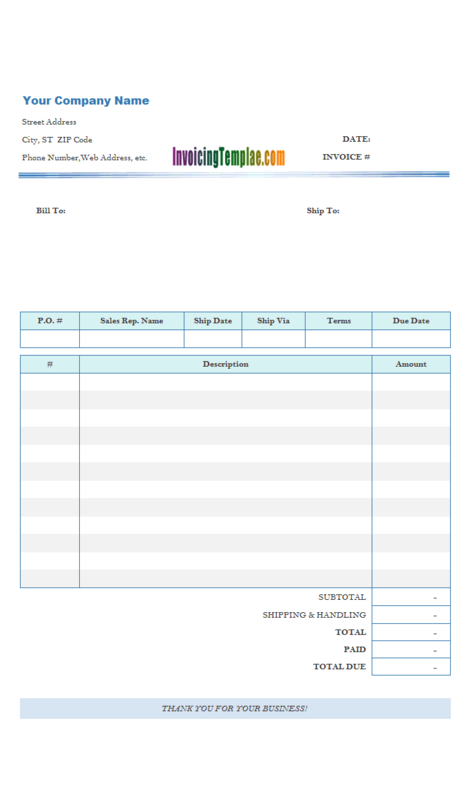 This blank invoicing format also has the number of taxes set to one. To change the taxing configurations, click the "Settings" button on the "Invoice" worksheet, and then go to the "Taxes" tab. You can set your tax names, such as "VAT", "PST" or "GST" etc., as well the corresponding tax rates. In the original design (c3008), we have the "oknCountry" field in the "Bill To" section. 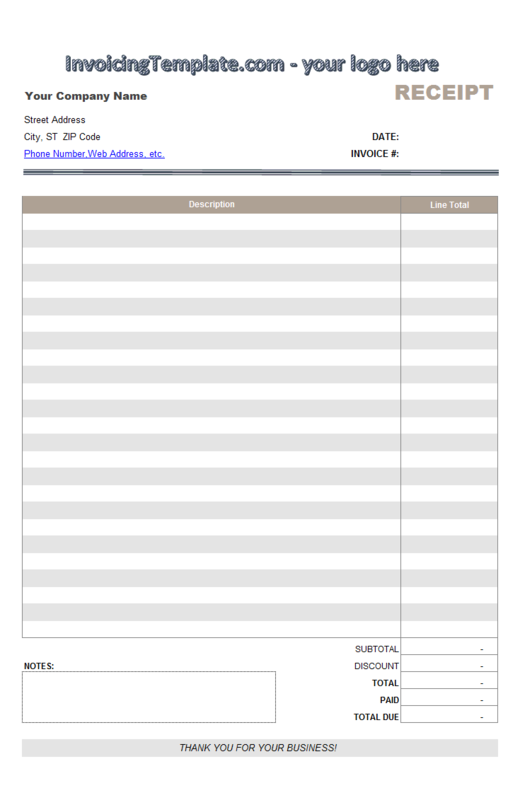 This new format replaced this field with the "oknEmail" field, as today invoices are often sent electronically via email in PDF format. By accepting / showing the email address field in the "Bill To" section, you are sure that each customer account are created with their email address filled in. 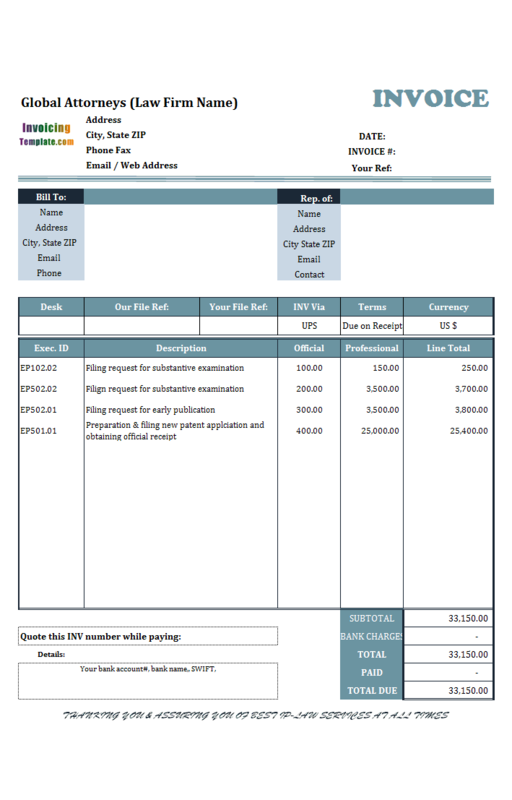 With Invoice Manager for Excel (namely Uniform Invoice Software) installed, it enables you to send PDF invoices using email with just one click of mouse - refer to invoice to email for more samples on this topic. 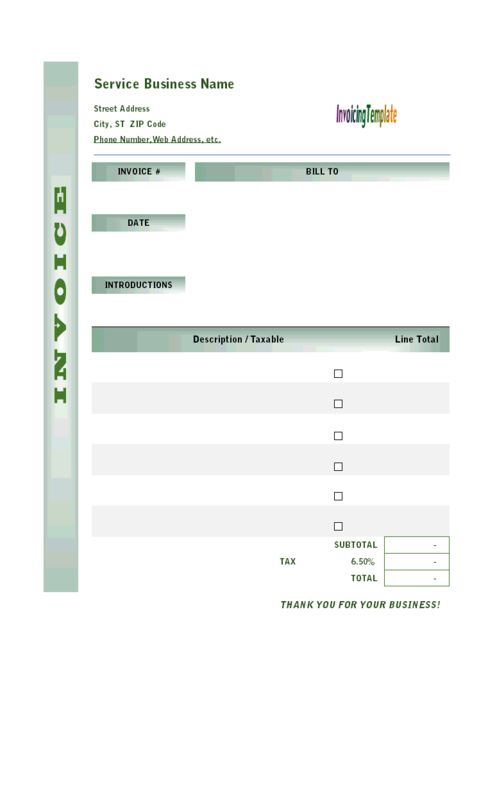 Like other form designs here on InvoicingTemplate.com, Blank Service Bill Format with Image Border is free (offered to you at a price of 0.00USD). It works on Windows XP and all newer versions of Windows, and Excel 2007, 2010, 2013 or 2016.